Shield your skin from the sun's rays and give it some petal protection with Althea's Petal Velvet Sunaway! 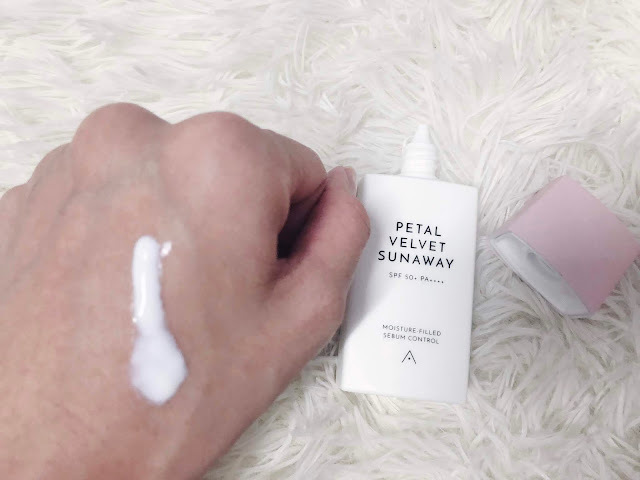 Ultra lightweight, this invisible sunscreen is formulated with hyaluronic acid and Damask rose extracts, ensuring that your skin stays fresh and hydrated throughout the day without any streakiness or a white cast. It has an SPF of 50+ and PA++++, so your skin'll be kept protected all day. As part of the Petal Velvet line, it also contains micro-powder particles that give you a smooth, petal-like complexion. I like the pointy tip nozzle, it reminds me of the Biore sunscreen. Lagi senang nak control the amount of product to dispense. And you need to shake first before using it, or else you'll dispense a cloudy liquid. The texture is like a milky gel. If you don't shake it, bila keluar tu macam cloudy gitu so kena shake supaya dia mixed well together. The texture is very lightweight and absorbs quickly which leaves a matte finish. As always, I'm excited for any new sunscreen. Sunscreen is very important for me, lagi lagi duduk dekat Malaysia, we really need a sunscreen to protect our skin from UVA and UVB. The SPF protection is high (SPF50). Kalau dekat Malaysia, seeloknya kita pakai SPF30-50. And the PA rating is very high. So you should get enough protection kalau pakai dalam kuantiti yang betul (dua jari). This is a physical/mineral sunscreen that contains only physical filters (zinc oxide and titanium dioxide). I personally don't really like physical sunscreen because of the white cast. Nampak kelabu atau putih putih tu bila pakai, lagi lagi pakai banyak. And yess, there's a white cast but it's not that bad, and after dia dah fully absorb, the white cast is not really visible. But if you have darker skin tone, I'm afraid the white cast will be slightly visible. 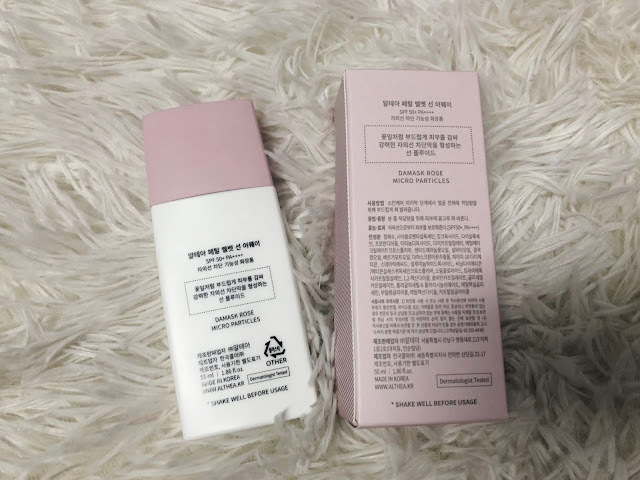 Good thing is, if your skin is sensitive with chemical filters, you can use this sunscreen since it only contains physical filters. 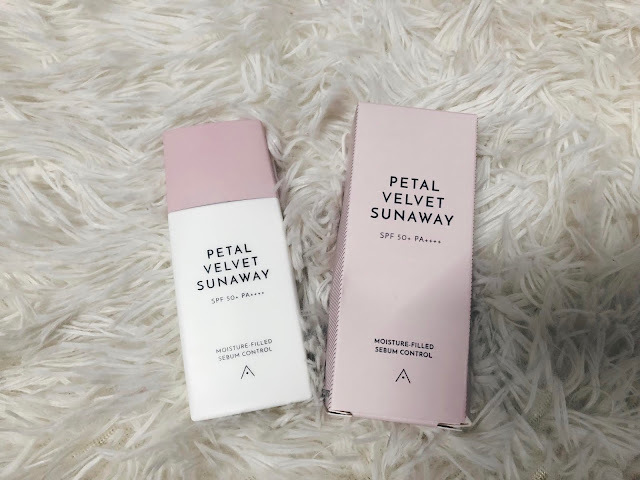 As for the ingredient, there's no alcohol and fragrance tapi ada essential oils and the rose scent is very strong which is quite a turn off for me. My skin also don't react well with rose water but this one, rasa quite okay. No bad irritation whatsoever. The texture is really smooth and lightweight with matte finish. 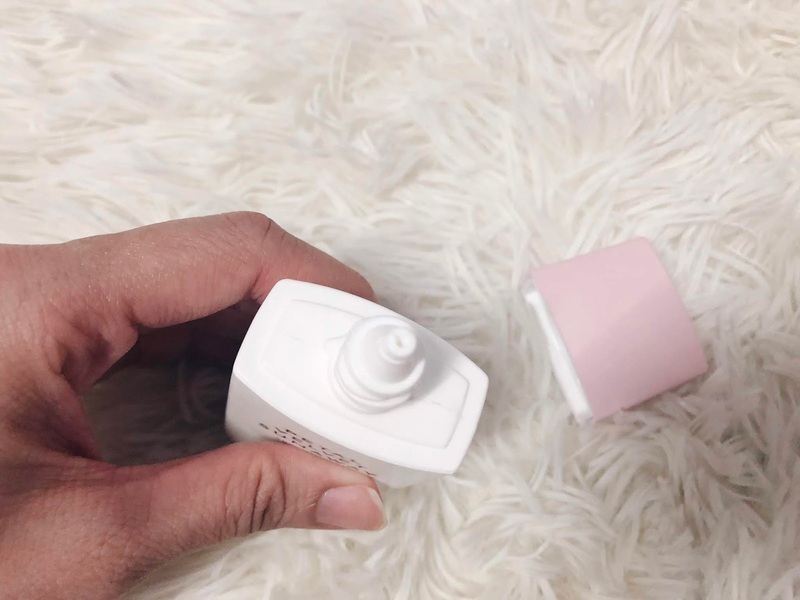 It's great for people with oily/combination skin but if you have dry skin, this might be a bit drying for you unless you prep your skin with a good moisturizer. As for the initial claims.... Ultra lightweight? Yes. Invisible sunscreen with no white cast? Not really. 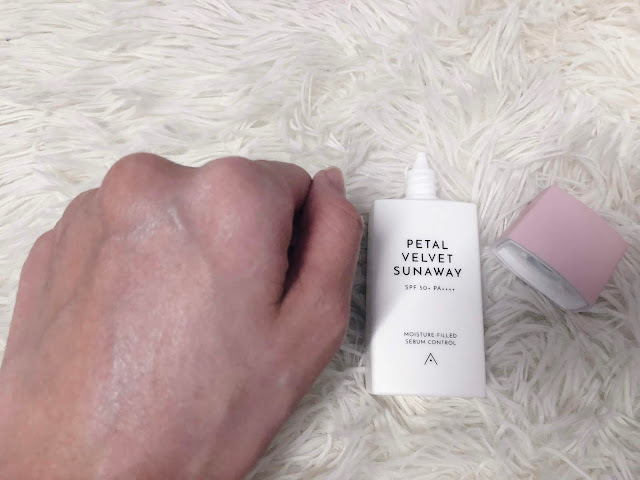 Skin stays fresh and hydrated throughout the day? Since I have dry skin, it didn't really makes my skin feels hydrated throughout the day. Smooth, petal-like complexion? Yes! 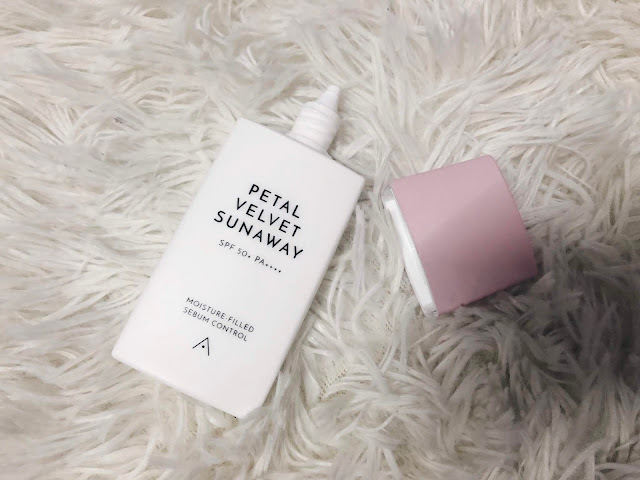 Bottom line, if you have oilier skin type and you don't really mind the white cast or the rose scent, you might love this sunscreen!